On Nov. 4, you can have a chance at owning a piece of Nirvana history when a slew of Kurt Cobain's possessions go up for auction via Julien's Auctions. Included among the assortment is the late musician's Blockbuster card. That's right, one lucky Nirvana fan will get to commemorate the '90s with Kurt Cobain's actual video rental card from an L.A.-area Blockbuster store. 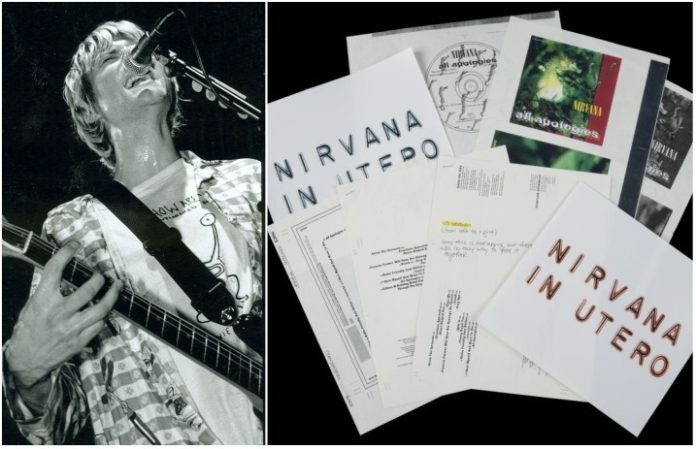 As pointed out by Stereogum, some other interesting items in the lot include original Cobain sketches, In Utero album artwork proofs, and even Nirvana's MTV VMAs Moonman trophy for the “Smells Like Teen Spirit” video. As we previously reported, In Utero producer Steve Albini recently auctioned off a couple of Nirvana microphones, both of which went for a mint—so have your moola ready if want to get some authentic Kurt Cobain items come Nov. 4. Check out all the items in the Kurt Cobain memorabilia lot here.